Curious for how to access iTunes U on android phone ? iTunes U is basically a digital library of the free educational stuff for the students across the globe. This service allows different teachers from enrolled institutions to upload audio and video lecture which students can access on their iPhone, iPad, iPad Touch or Mac OS X. So, if a student does not have an Apple device, he/she will not be able to have access to thousands of free lectures. iTunes U is just iTunes store for the educational stuff, you can download the content on your Mac to listen it later. Natively, there is no way of transferring or accessing the iTunes U on Android Phone. However, Android users can still access to iTunes U with the help of software tools or apps. iMusic allows Android users to access iTunes U on Android Phone. It is the best iTunes Library manager. 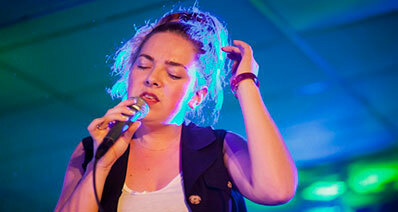 So, if you are not a professional iTunes user, you can perform the task very easily. 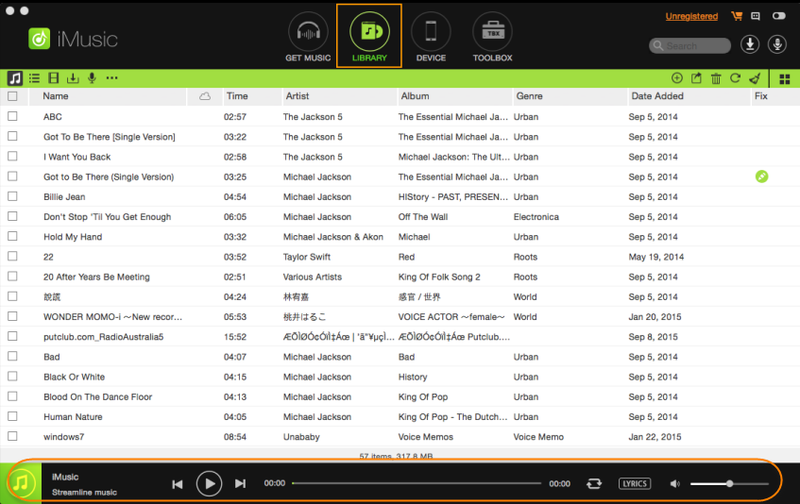 It is basically a complete media manager for the Windows, Mac OS X, Android Phones, iPhone and even the iPads. It allows users can not only transfer the music, videos, TV shows, Movies and Podcasts but it will also work with the Apple’s educational platform, iTunes U, from iTunes Library to Android phones. In order to transfer the iTunes U content on your Android phone, you will have to subscribe to a specific author in the iTunes which will download all the lectures in that episode on your computer. 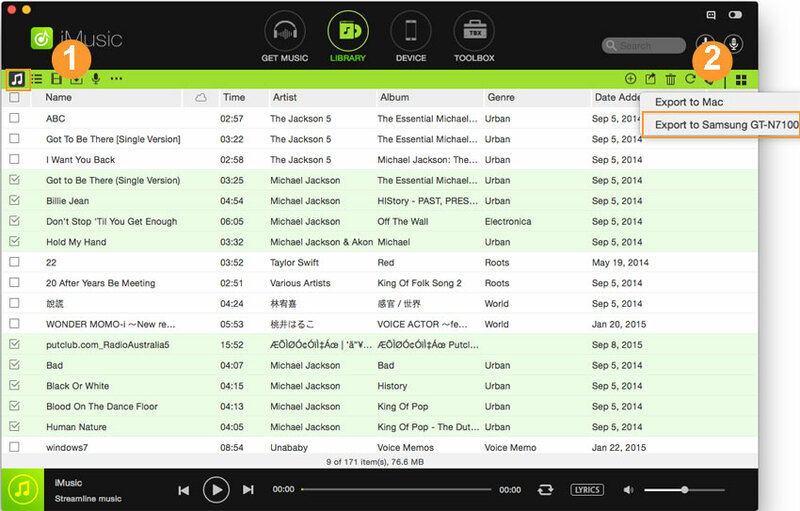 After subscribing to the service, users will be able to transfer this material to Android Phone using iMusic. 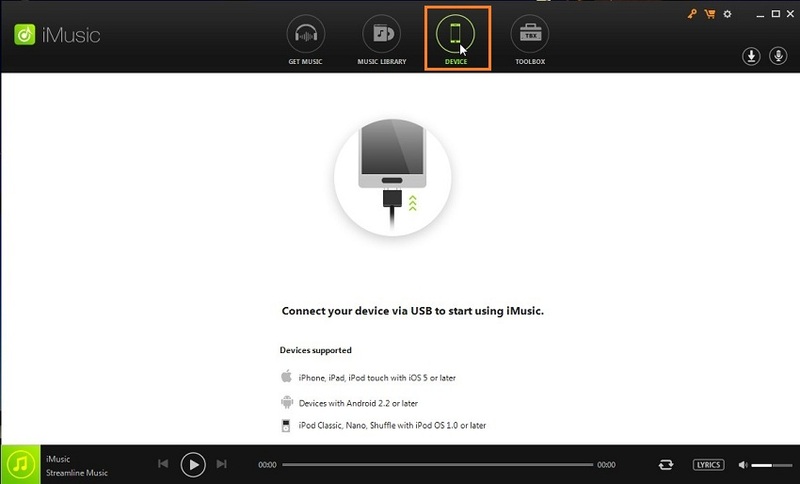 Here’s the step by step guide on how you can access iTunes U on Android Phone using iMusic. Transfer iTunes U from iTunes Library to Android Phone Without Erasing the Files. This part can be done on both Window computer or Mac OS X. First of all, Open iTunes on your computer and go to the iTunes Store. Scroll down and open the iTunes U as shown in the screenshot below. 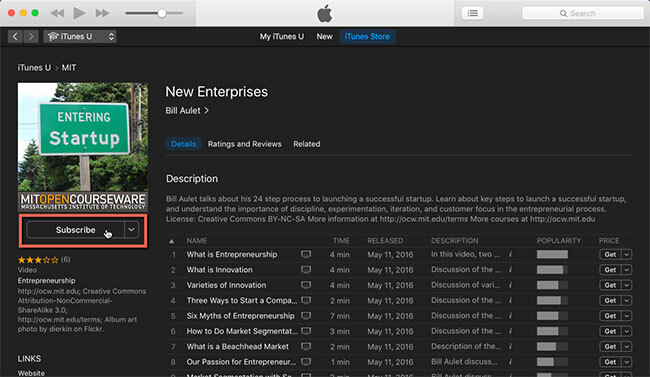 Once the iTunes U Store is opened, go to the lecture that you want to subscribe. Open it and click on the Subscribe button. It will start downloading that lecture in the iTunes which may take some time depending upon the length of the lecture. 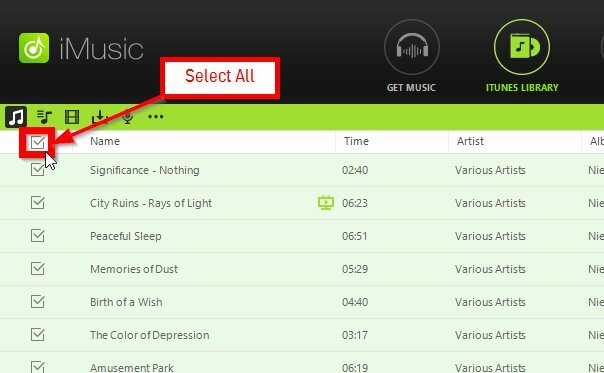 Launch the iMusic on your computer and connect your Android Phone using USB cable. On the main screen, click on the “Library”. The “Library” actually displays all media files in your iTunes Library. From the left side, click the iTunes U icon to see all iTunes U files you have downloaded to your iTunes Library. Now, select the iTunes U and click on the “Export” button to transfer iTunes U to your Android phone. One of the largest free source of learning will help you and your kids to learn about anything from basic to professional level for absolutely free of cost. 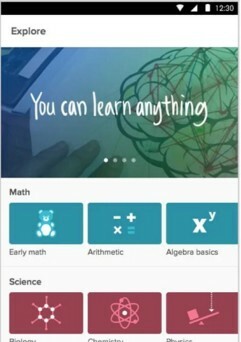 The Android app will allow you to learn and watch videos to get knowledge about anything. You can pause any video and can start it from there anytime. This application does not only have the videos but also the detailed articles about a specific topic. Unlike Khan Academy, it is an online institute which provide free and paid courses from basic level to professional level. You can enroll any course that you find suitable and will have to follow the guide and take exams to get a proper certificate. 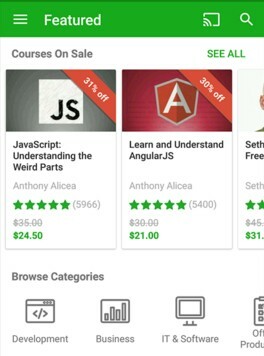 Udemy contains courses from Adobe Photoshop learning skills to mathematics, biology to Chemistry and English to Spanish. Moreover, the purchased courses also come with the money back guarantee. So, you don’t have to worry about the cost or the learning experience. 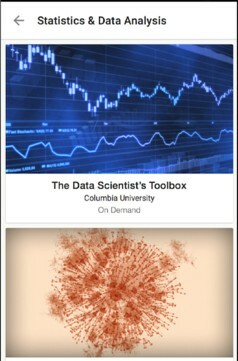 Coursera does not need any introduction, providing tons of courses from the top class universities around the globe. Most of the courses in Coursera are absolutely free of cost. However, in order to get professional certificate, you will have to pay certain amount. The courses offered by Coursera are from most prestigious institutes such as Stanford, Harvard and MIT. You can learn different courses while travelling because you can save different videos on your computer. 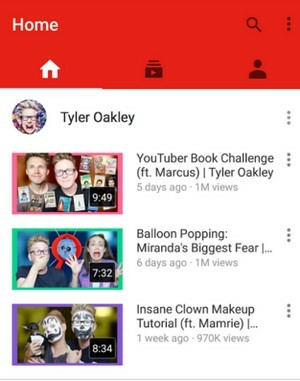 From a source of entertainment to an ocean of knowledge, YouTube has millions of videos for everyone. Different professors have also uploaded their lectures on the YouTube about approximately every field of the life. So, YouTube can also be called as an alternative to access iTunes U on Android Phones. Are you looking for a perfect application to learn a new language on your Android Phone? 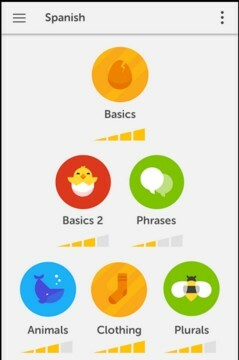 Duolingo is the perfect application that you should install on your phone to learn something new. This application will let you learn English, French, German and many other languages in real time. Transfer iTunes U from iTunes Library to Android without erasing existing data.